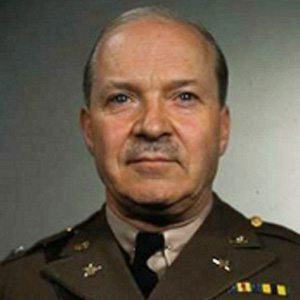 Four-star American general who fought in both World Wars. During the late 1940s and early 1950s, he served as Vice Chief of Staff of the United States Army. He graduated from the United States Military Academy at West Point and subsequently fought with the American Expeditionary Forces in World War I. He commanded a World War II unit that navigated 1,200 miles of German-occupied Europe. He married fellow Virginian Alice Jennings Shepherd. He retired from the military and assumed care of President Lincoln's Cottage at the Soldiers' Home, a national monument.